Today Beadsaholic brings a review of Aurora Friends 4 Life! I recently received Aurora Friends 4 Life and I must say it is a fantastically designed bead! I have quite a few beach and ocean themed bead and many of them are similar designs that vary by the vision of each creator. So, it was refreshing to see a totally new design. Friends 4 life is limited edition and comes in an exclusive royal blue pouch. Previously I reported that there were only fifty being made; however, there were only fifty ready in stock and there are fifty more being made as a back order, so there is a total of one-hundred pieces being made. This bead is an exclusive and only available at Beads Fanatic! I adore these beads together! The following photographs were taken outdoors. I have placed Aurora Friends 4 Life with Aurora Blue Ocean Wave, Aurora Happy Turtle, Aurora Sailor’s Dream, Ohm Beads Striped Sailfish, Trollbeads Conch glass, Trollbeads Azure Bubbles, Trollbeads Uniques, Trollbeads Whale Spirit, Trollbeads Hiding Conch and finished off with the Trollbeads Crab Lock. Aurora Friends 4 Life is a beautiful charm that reflects a lifetime friendship between an Anemone and a Clown Fish. If you went deep sea diving by the barrier reef, you would most likely see this beautiful duo together, as Clown fish live within the Sea Anemone and keep it clean, while the Sea Anemone protects and keeps the clown fish safe. The perfect friendship is caring and taking care of each other. Friends 4 life is a stunning bead! On the front you will find one clown fish peeking out from the Anemone, on the back is just the Anemone. This bead measures approximately 12.05 mm high x 11.70 mm wide and retails for €44. Please note prices include vat, if you live outside Europe, please login on their website to see the price without vat. An up-close view. This bead reminds me of Finding Nemo! Also available is this Gift Set: A Friends 4 Life Tote and Bead. Perfect for a day at the beach or you can use it as a shopper. The Tote measures approximately 34 cm high excluding handles x 37 cm wide. Set retails for €49 (while supplies last). Please note prices include vat, if you live outside Europe, please login on their website to see the price without vat. Here is an indoor photograph in my studio with LED lighting. As you can see, it’s beautiful indoor and out! Over all, if you love sea themed beads, then you will not want to miss this one. The fact that it is different than any other sea themed bead out on the market makes it the perfect addition to any collection! If you would like to order this bead, then you may do so by clicking the link below. Please note, that the last fifty beads are on back-order and will ship as soon as they are received at store level. 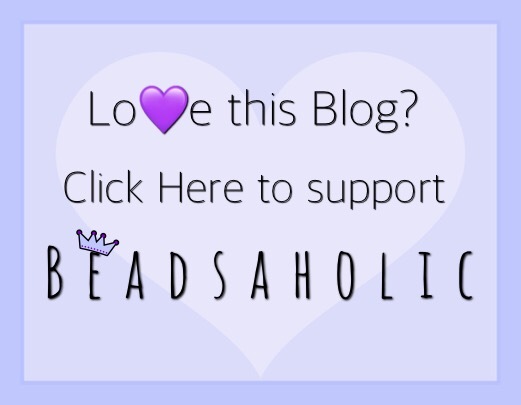 Beads Fanatic offers free shipping with in Europe and vat free shopping for those of us outside of Europe. As always, I love hearing from you all. I’d love to know your thoughts of this exclusive limited-bead? Have you ordered yet or plan on ordering? 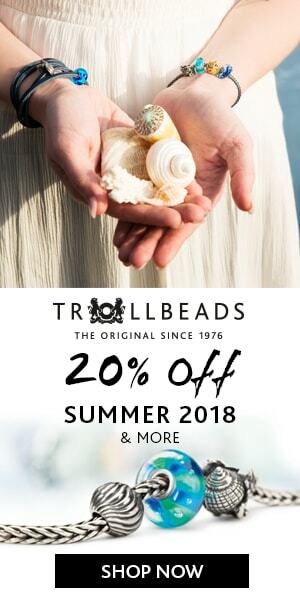 Do you love sea-themed beads? ← Ohm Beads August BOTM The Office Preview! I really like this one, it is cute and it the bead has a decent size and weight. I can’t understand that it still didn’t sell out.